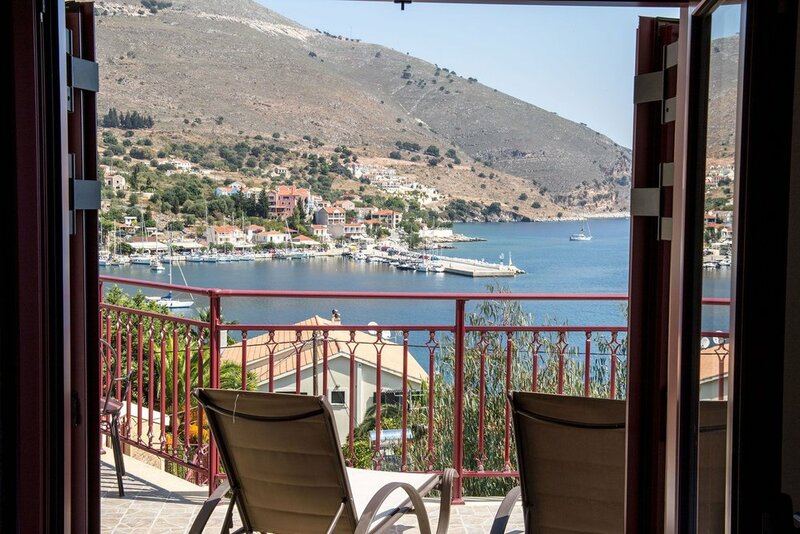 The Ionian Greka hotel is located in Agia Efimia (Aghia Efimia), which is a quiet little fishing village situated on the east-coast of Kefalonia Island. It's central location makes it perfect to be used as a base to explore the rest of the island. The village has many traditional tavernas and cafeterias which all comply to high quality standards. Each taverna in Agia Efimia has its own special dish and you will find all owners very friendly. 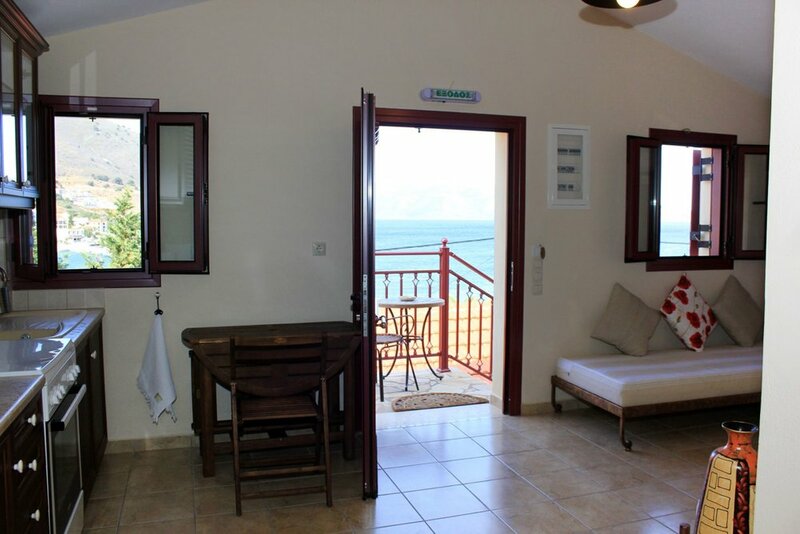 So the Ionian Greka hotel is a perfect place if you want to explore the island of Kefalonia. Overlooking the Ionian Sea, Greka Suites features a seasonal outdoor swimming pool. The lovely small complex of apartments is in perfect harmony with the amazing view! The owner was so helpful and she provided anything we needed. The apartments are very well equipped with everything and more that could be needed for a holiday stay. The amazing shower, comfortable beds and the large pool made our stay perfect. The hotel is close to shops and many highquality eating places. All in all we would say that "Ionian Greka" and Agia Efimia are a great place to enjoya relaxing beach holiday and to explore this beautiful island by car or by boat.